Fundraising is critical to the success of charities and other nonprofits. Games of chance, such as lotteries and raffles, can be an easy way to entice potential donors by offering the prospect of winning a prize. However, most lotteries and raffles are considered gambling and are illegal in Florida. But, the state has carved out an exception for qualifying nonprofits, provided specific rules are followed and no fees are required to participate. Even with this exception, however, nonprofit organizations must still comply with all state and federal laws governing the solicitation of funds. As a general matter, raffles, lotteries and other "drawings by chance" are considered a form of gambling and prohibited by law in Florida. This is based on the assumption that money is exchanged for participation in these contests. However, an exception to this rule applies to certain nonprofits that have obtained federal 501(c)(3) status from the Internal Revenue Service. This is a tax exempt designation that is only granted upon written request to the IRS by organizations that further a specific charitable, scientific, educational or religious purpose. Although federal tax exempt status is a threshold requirement for nonprofits interested in holding a raffle in Florida, state law also limits the manner in which funds may be raised. Specifically, Florida statutes expressly prohibit charitable organizations from requiring or otherwise insinuating that a cash payment must be made in exchange for a ticket or entry into the raffle. This limitation seeks to distinguish a charity event from other gambling activities, but does not prohibit a qualifying nonprofit from suggesting a minimum donation. For example, stating that "tickets cost $100" would be a violation, but stating the "suggested donation for a ticket is $100" would be acceptable under the law. In order to ensure the legitimate operation of the raffle or lottery and to discourage misleading potential participants, Florida law requires the disclosure of certain information related to the event. Specifically, every brochure, advertisement, entry form and ticket used in connection with the drawing must indicate the source of the funds used to award the cash prize and the date, hour and place where the winner will be selected. Further, the materials must outline all of the rules and regulations governing the contest, as well as the name and principle place of business of the nonprofit. In addition, no literature or advertising material circulated by the nonprofit as part of the raffle or lottery may be misleading, false or deceptive. All winners chosen through raffles and lotteries conducted by nonprofits in Florida must be done at random. State law specifically prohibits awarding prizes based on matching, instant winner or pre-selected sweepstakes. 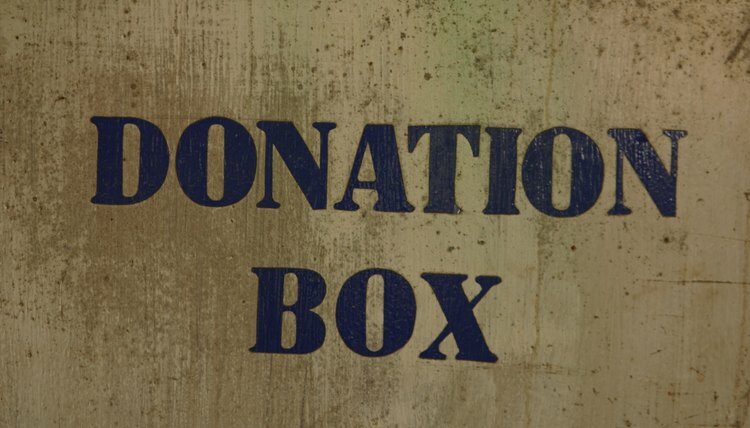 This prohibition also makes it illegal to remove, disqualify, reject or otherwise discriminate based on whether or not the entrant made a cash donation to the organization as part of the raffle. Further, while an organization may limit the number of tickets each participant may take, no awards may be conditioned on a minimum number of tickets having been disbursed or contributions made. Instead, all prizes offered must be awarded and an organization must notify a winner that he or she has won. The penalty for anyone caught violating this section is a second degree misdemeanor under Florida law.